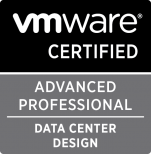 VMware has released the VCP-Cloud exam. With the release of the VCP-Cloud exam there are now two ways to obtain the VCP-Cloud certification. Learn more about the VCP-Cloud certification and the two paths towards earning it at www.vmware.com/go/vcpcloud.